You woke up this morning with a big smile on your face. Your bills were automatically being paid, you weren’t accruing any exorbitant interest on your credit cards and loans, your money was somehow invested in all the right places, and your savings account kept growing. Oh, and you could even afford to spend a little on things you love, free from stress. You might not be here yet, but this is a glimpse of financial freedom. And while the vast majority of people view financial freedom with scepticism, the truth is that it’s within reach. At the heart of financial freedom is a combination of clarity, fulfilment, and the liberation from worry. Most Australians are bold, adventurous people. Yet many of us have nightmares about spreadsheets and interest rates. Isn’t life too short to have your daily thoughts revolving around numbers? Your financial plan is your ticket to financial freedom. I put together this guide to give you a framework for creating a solid financial plan. And to teach you how to use it to get the freedom you crave. No matter how cliche the saying “failing to plan is planning to fail” is, it rings loudest when it comes to your financial future. 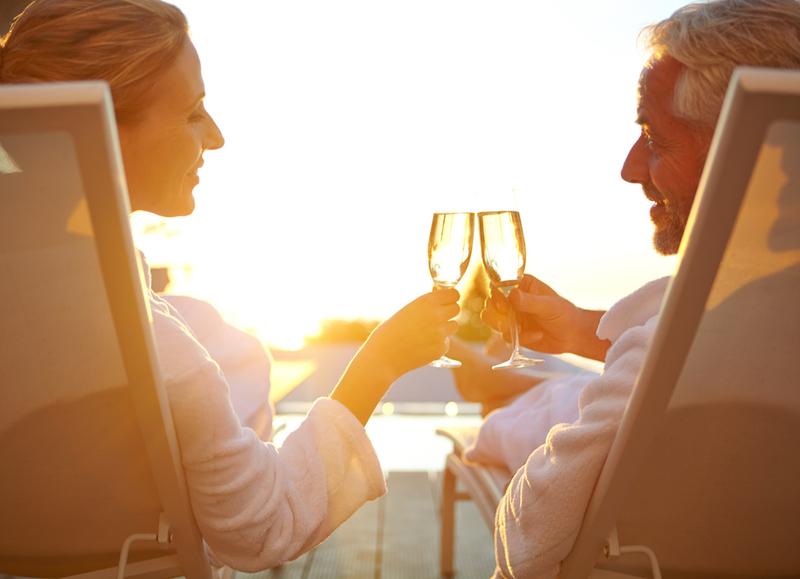 You will inevitably end up spending more and coming up short on unexpected expenses, not to mention the looming thought of retirement taking up more and more space in your mind as you get older. But this can all be avoided by setting some concrete and reachable goals. In this section of your financial plan, you will want to outline your life goals as best you can in the present moment for short-term, mid-term, and long-term periods. Short-term goal: Have $10,000 saved up in an emergency fund. Short-term goal: Pay off all credit card debt in 12 months. Mid-term goal: Pay off all student loans in 4 years. Mid-term goal: Buy your first home in 5 years. Long-term goal: Save up for your retirement. Long-term goal: Have a full university fund for when your kids turn 18. Measurable: “I will reach out to a financial advisor to get at least retirement plan going” is measurable.“I want to figure out how people like me save for retirement” is not measurable. Achievable: “I will save $50 a month” is more achievable than “I will save $500 a month” if you are able to. Realistic: Committing to look at your finances every single day is only realistic if you set aside time to do that. Time-Bound: “I will set up a meeting with a financial advisor by the 15th of June” is more specific than “I will look into it next month”. The second step to building your financial plan is to establish a budget and to track your current spending rate. Without doing this, it will be much harder to understand where your money is going. At times of peace, this is manageable. But in chaotic times, this can be your downfall. Budgeting will give you a snapshot of where you currently stand and gives you some flexibility when it comes to planning for future goals. We recommend using the ASIC budget planner to get a static understanding of where your money is going. You might uncover startling facts such as your daily coffee is running you close to $1,000 a year. Free budgeting software such as My Wealth Portal makes the updating process much easier, but you should still familiarise yourself with the process. Since budgeting and reviewing your budgets must be done consistently, it’s helpful to automate the process. Or at the very least, set alerts to do this regularly. Once you have your budget set up, you can start going into other useful metrics such as your burn rate and cash-flow analysis. The term burn rate is usually thrown around in the business sense, but it can also be applied to our personal lives. Simply put, your personal burn rate is the amount of money it takes to sustain your current lifestyle, and how long you would have until you run out of cash. The assumption behind your burn rate is how long you can sustain your standard of living without any additional paychecks. It’s easy to forget the daily cost of our lifestyle when we’ve got a positive cash flow from investments and work. Your expenses may include your mortgage, health insurance, fuel, phone bills, food, Netflix subscriptions, your son’s karate lessons, etc. Calculating your cash runway is helpful to mitigate unnecessary expenses. If you were to hit a period where you were no longer making any income (quitting your job, retirement, etc) or otherwise expected to be strapped for cash, you will have a list of variable expenses that could be removed to decrease your burn rate. The purpose of the burn rate is to know how long you can survive if something drastic such as losing your job if you do not make any changes to your lifestyle. First, you find the difference between the starting and ending cash balance of a period. Calculate your burn rate as if you had no income coming in. – Let’s say you started off 2016 with $50,000 of liquid savings and ended with $10,000. The difference is $40,000. – Next, you divide the difference by the total number of months in the period (12) and you get $3333.33. – Your personal burn rate is $3333.33 a month. Effectively with $10,000 in savings, you have 3 months to go before you run out of cash. Yikes! The goal of understanding your burn rate is to reveal which expenses could be cut in a drastic income altering scenario. Since the majority of Australians are living paycheck to paycheck with little to no cash savings, this is a very important calculation to understand. Getting an idea for your monthly number will help you focus on eliminating wasteful recurring expenses and allocating future revenues into profitable ventures. You want your burn rate to be as low as sustainably possible while living a life that makes you happy. It is highly likely you have been exposed to multiple investment opportunities at some point in your professional life. Whether that opportunity was a piece of real estate or a seed investment in your nephew’s startup, it always requires a reflection on your current cash flow. Cash flow is the inward and outward motion of money. And cash flow management is a prerequisite to any sort of investing. Watching your pay come in and paying bills is only going through the motions of cash flow management, but is nowhere near an appropriate cash flow management strategy. Essential cash flow management involves recognising all the components that come into where your money comes from, where it’s supposed to go, and how to utilise the push/pull relationship to increase your quality of life. Income Components: This is your salary, bonuses, side-income, and investment sources (both active and passive). Your control is relatively limited unless you are able to take on more hours, clients, or investments for higher income. Fixed Expenses: These are expenses such as your rent, mortgage, and utilities. You have limited control over these unless you choose to make a structural change such as moving to a cheaper/more expensive apartment. There are cost cutting measures that could lower your bills, but these structural expenses are relatively consistent. Discretionary Expenses: These expenses are variable and can be controlled. The choices you make can heavily influence how large (or how little) your discretionary expenses are. Small changes like brewing coffee at home instead of picking up a latte before work could make a substantial impact on your annual cash flow. You don’t necessarily need to grab a coupon book to start saving discretionary expenses: you can save money online with plugins such as Honey that will scour the Internet for appropriate discounts when you go to purchase an item. Taxes: This is a category that causes a lot of discomfort for most people. Taxes are often viewed as a necessary automatic deduction. But in some cases where you owe the government a significant balance or receive a refund, they can play a much larger role in your cash flow analysis. If you are self-employed, this section is particularly important. Savings: All cash flow components tie directly into your savings. This is your opportunity to retain your wealth. You can either have an active or passive saving strategy. At the end of your cash flow analysis, you will have a firm understanding of not only where your money is going, but what you can do to increase positive cash flow into your savings and decrease negative cash flow towards bills and expenses. Review: Your budgeting and burn rate analysis play directly into your cash flow analysis. 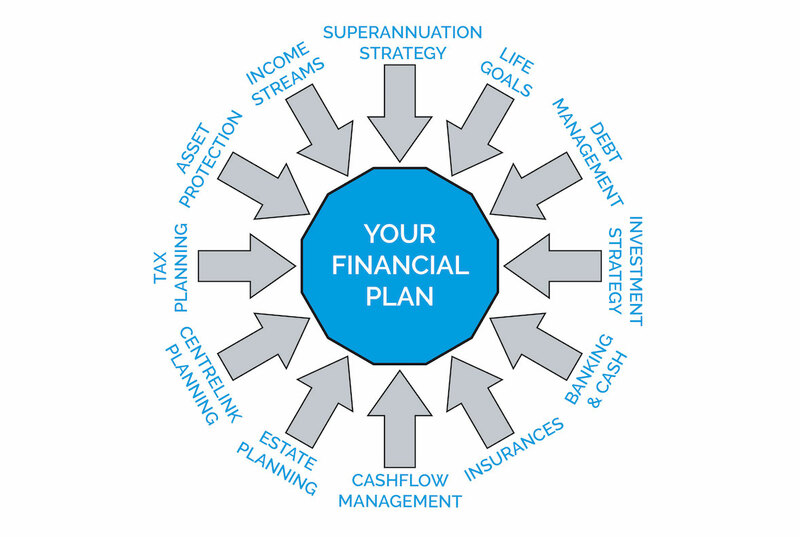 While there is some overlap between the three sections, each covers a distinct purpose in your financial plan. Now, we are going to go over defensive and offensive strategies to decrease expenditures, planning for the future, and increasing the daily quality of your life through financial investments. Tax season doesn’t necessarily have to be a dismal time of year. Instead of allowing the idea of tax season to ferment in your brain all year, you can adopt an effective tax planning strategy that simplifies the entire process and removes the stress. This could be everything from noting what tax-deductible expenses you have and plan to incur ahead of time to making tax effective investments or increasing your claimable deductions by donating to charity. Tax planning means organising your affairs in the most tax effective way within the intent of the law. There’s a notable line between tax planning and tax avoidance. 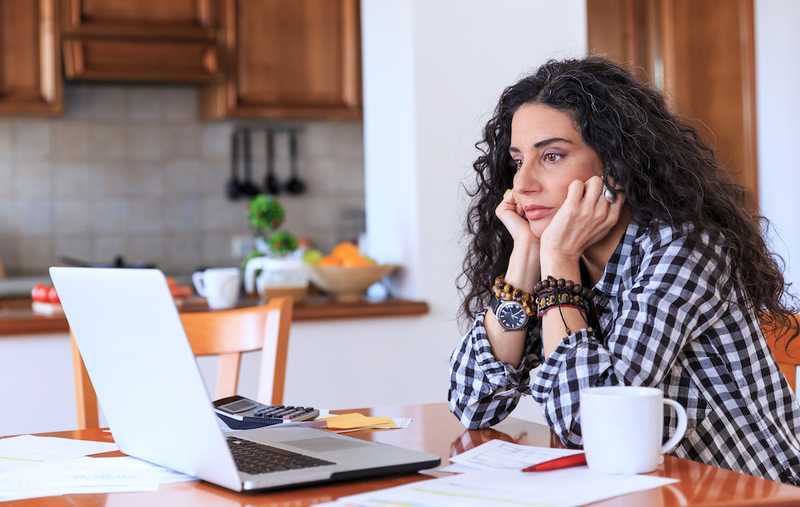 Many people unknowingly find themselves on either the wrong side (Hint: the illegal side) or the side where they fail to take advantage of tax planning. Whereas you can receive the benefits of accurately paying less tax, your taxes can also make life more stressful if you let them. Certain tax arrangements can also attract the scrutiny of government authorities, and you could end up getting hit with penalties if your arrangement is found to be unlawful. Incredible tax deductions when compared to income. This might be the brightest and most glaring red flag, so be sure to plan your deductions within the scope of the law. Mixing private expenses with business expenses. Investing now without an expected return for years down the line, or creating a loan that may never need to be repaid. Complex financial arrangements that don’t have an obvious commercial purpose. Usually, if a tax arrangement looks too good to be true, it will ring alarm bells and you might get audited. Involving a certified financial advisor or tax planner greatly minimises the risk of such penalties. Here are some strategies to help with your tax planning. Your Personal superannuation, also known as “super”, is money saved while you’re working to be used as a regular income after you retire. The average Australian can expect 20 years of retirement, and hopefully more. Once you turn 65 (scheduled to rise to 67 in 2023), the government pays up to about $28,000 a year for your retirement. Even with the Australian government pension, your living standards still could change substantially. To put this into perspective, if your burn rate you calculated earlier is $50,000 and doesn’t change, and you get the full $28,000 pension, you will need to have $440,000 in savings by the time you retire to enjoy that quality of life. And this doesn’t include any surprise expenses that pop up along the way! If you’ve gone the corporate route, as per the Super Guarantee law, your employer is required to pay money into a super account in your name in the amount of 9.5% of your income including commissions, bonuses, and loadings. This super account is managed by a super fund and is accessible tax-free once you’re over 60 years old. Most employers have a default fund they invest into, but you are generally allowed to ask to invest in a fund of your choice. If you’ve gone the self-employed route, you are responsible for making the decision of how much of your income gets put into your super account. This freedom can be a precarious liberty. Your superannuation strategy involves adding money to your super account so you can enjoy the tax-free money once you retire. It is incredibly wise to get started on super investment while you are young so your money has a longer range of time to compound and grow. According to Scott Pape of Barefootinvestor.com, Australian Millennials are downright financially miserable and only 8% of them believe they will be better off than their parents. 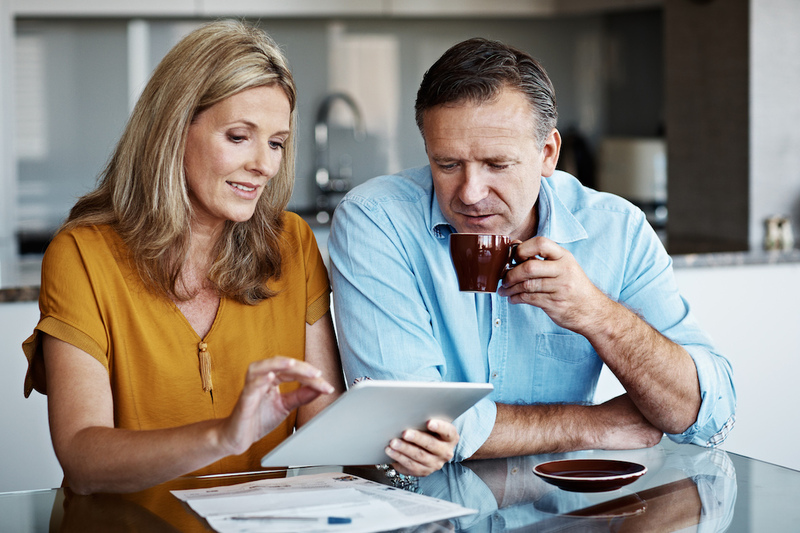 There are government restrictions on how and when you can access your superannuation account to ensure that your savings are waiting for you once you retire. Changes in regulations have given Australians the ability to ‘self-manage’ their super. 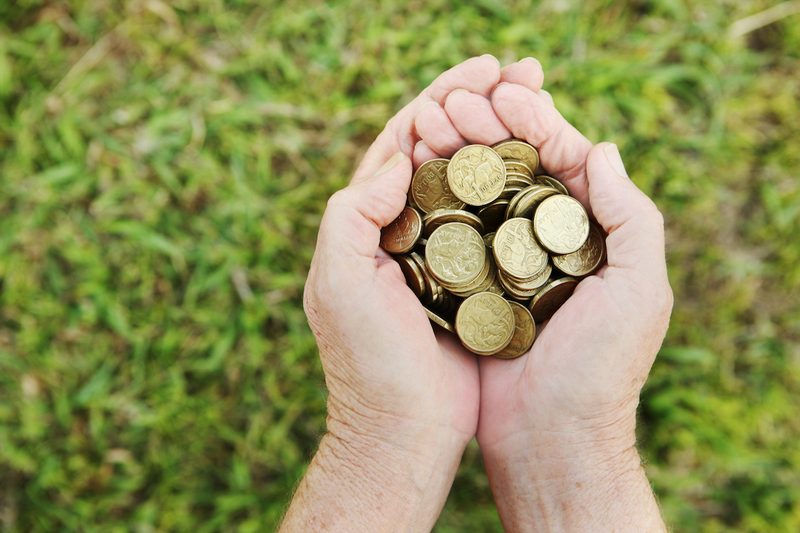 No doubt you’ve heard the term SMSF (Self Managed Super Fund) thrown around. This provides new freedom to select alternative investment vehicles for your super money, such as purchasing property within your super fund. There are certain circumstances when this makes great financial sense, however, it depends largely on your individual financial position. The best step you can take is to meet with a financial advisor and get a firm understanding of what your post-retirement picture looks like, and what you can do today to make a substantial positive impact on your future. If you’ve come to a point in your financial life that you have more money than you know what to do with, having your money sit in a savings account isn’t even be the best strategy. Although it might seem secure, your .02% savings account interest isn’t doing much to impede the 1.5% Australian inflation rate. Perhaps it’s time to start looking for alternative investment strategies? For example, our strategy is about paying yourself first before any other investments. Putting 10% of a paycheck into a savings account and creating an ongoing investment strategy is better than waiting until you have a massive chunk and investing it all at once. There is no guaranteed stock, real estate, or any other investment. Your investment strategy should be aligned with your risk tolerance, cash liquidity preferences, and time available. Can you stomach a sudden 30% drop in your stock portfolio? If not, you might want to turn away from volatile stocks and stick to low-yield bonds and blue chip stocks. Do you need the ability to have cash on hand? If not, you will want to plan your investment around the ability to liquidate. You can turn stock into cash relatively quickly, but you can’t necessarily always find a buyer for a property in a time of need. Does your investment directly impact your life to a great extent? There’s a difference between being a young, healthy 32-year-old losing $20,000, and a 65-year-old putting up his $20,000 savings. Illiquidity isn’t necessarily a bad thing. According to Michael Pedler, there can be a significant value in holding illiquid assets that provide a significant return. The average millionaire has on average about 7 income streams that contributed to his or her fortune. 1. Earned/Salaried Income: This is money that you make from your job. Let’s say your job pays you $80,000 a year. 2. Profit: This is money made from selling something for more than you bought it for or it cost you to make. Let’s say you started a side business selling bracelets from China that nets you $15,000 a year. 3. Interest: This is money you receive from lending money to another person or business. This could be everything from Treasury bills from the government, keeping it in the bank, or lending it to a friend. Let’s say you make $5,000 a year from this. 4. Dividend Income: Most companies pay a certain amount of money based on the number of shares you own within a company. These can be paid either annually or quarterly. Let’s say you have 1,000 shares of Company A that pay a $5 dividend annually, netting you $5,000 for the year. 5. Rental Income: This is money from renting one of your assets. This could be a warehouse, building, apartment, or even a plot of land. Let’s say your apartment nets you $12,000 for the year. 6. Capital Gains: This is the profit made from the increase in value of an asset you own, which can be either property or stock. Let’s say you bought 1,000 shares of Company B for $15 and sold them for $17. Your capital gain would be $2,000. 7. Royalties: This is money directly related to letting someone use your ideas, process, or products. Your contract with them will usually spell out a small percentage of their earnings. Let’s say you licensed your online video course with a third party site and make $5,000 a year in royalties. With these 7 income streams, you would have made $124,000 by the end of the year pre-tax. Although uncovering different revenue streams might seem difficult at first glance, they often take years to set up to run effectively and efficiently. Each income stream comes with different tax implications, and if you are pursuing an active income stream diversification strategy it is imperative you have a rock solid tax strategy as well. Debt can come in many forms. All of which can be the cause of higher stress levels and difficulty sleeping. Debt, by construction, is your friend. You are given money to purchase or invest into something today, and all you have to do is pay it back in the future. It’s when debt gets severely mismanaged and ignored that it turns into a monster. According to The Australian, “Australian households overtook the Swiss as the world’s most indebted this year, with outstanding debt equivalent to 125 per cent of GDP and no let up in sight. Combined owner-occupier and investor loans outstanding have risen from $1.2 trillion to $1.6 trillion in the past five years.” Keep in mind that this isn’t public debt, it’s all private. Debt management can be used in one of two ways. The first is to use debt with the expectation of earning a higher return elsewhere for profit. The second is for managing and paying off current debt to avoid spending more money than you have to. Just because the majority of Australian households are in debt doesn’t mean you also have to suffer from late fees and interest payments. According to Vikas Vashishtha, one shouldn’t be too quick to cast off any credit as an effective as a means of investment. A few things you can do regularly is to review your credit card interest rates and always pay your bills on time. A financial advisor is always a wise decision if you feel the amount of debt in front of you is insurmountable. A foundational financial plan starts with outlining your life goals so that you can build a financial fortress to protect them. By getting a glimpse of where you stand right now (through budgeting, calculating your burn rate, and cash flow analysis), you can accurately plan how to protect your current financial status from taking any hits, as well as how to increase the quality of your daily life through tactical investments and tax planning strategies. Each layer of your financial plan is connected to the next. Think of your financial plan as an organic, living document that grows alongside you, as opposed to a static piece of paper. Your life expectations will inevitably change, and it’s important that you continuously update your financial plan to reflect on your new goals and circumstances.